According to talkSPORT, Arsenal boss Arsene Wenger is angry with England over their handling of Jack Wilshere after he picked up a fresh injury during the international break. 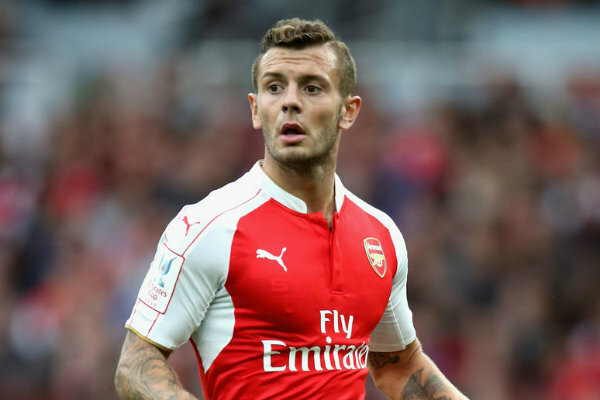 Wilshere’s career in recent years has been plighted by a number of serious injuries that have hampered his progress with both club and country. However, the 26-year-old has been rediscovering his best form this season as he’s managed 28 appearances in the Arsenal first team since returning to full fitness back in October. Jack was expected to make his first appearance for England since Euro 2016 during the current international break after being recalled to the squad by boss Gareth Southgate. But sadly the midfielder was forced to withdraw from the squad and miss the friendlies with Holland and Italy after picking up a knee injury in training with the Three Lions last week. Wilshere was sent back to London Colney to be assessed by Arsenal’s medical team and luckily the injury doesn’t appear to be anything serious but that hasn’t stopped Wenger from venting his anger at England. The Evening Standard are carrying a report that claims Wenger is fuming with how Wilshere was handled while away with his country as the Arsenal chief feels the player was pushed too hard. The newspaper goes on to say that the only reason Arsene didn’t make more of the situation with Southgate is because on this occasion Wilshere’s injury isn’t serious and he should be fit to face Stoke on Sunday. It’s always a contentious point when a player gets injured while away on international duty as the countries adopt their own training regimes which don’t always follow what the players are used to with their clubs. This increases the possibility of injury and even more so with a player like Wilshere who has to follow a set workload due to his long history with injury, so you can understand Wenger’s frustration. Luckily Jack won’t be out for long and hopefully he can stay fit and continue to impress during the closing stages of the season as it would be gutting if he was to miss out on the World Cup finals.